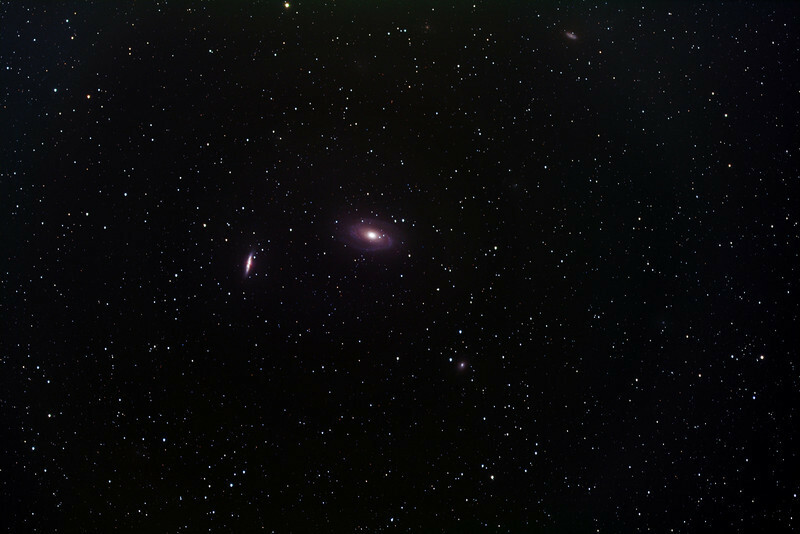 M81/M82 galaxy region, uncropped, FSQ 106 telescope at f/5 + 11000M camera. LRGB, 160 total minutes. Enlargement of original, which can be downloaded at full resolution, reveals at least 5 very faint, "small" galaxies in addition to the 4 identified in the preceding frame.